Transitioning from a long weekend isn’t easy for anyone, especially us folks with ADD, ADHD and Executive Functioning deficits. Having time off to do the things we enjoy should be valued and enjoyed. While this sounds obvious, for my clients it isn’t as easy as one would think. In order to wrap your head around this piece, I want you to think about two different clients; the under-motivated and over-motivated client. Let’s start with my under-motivated client. Since he or she has difficulty starting important tasks, events like long-weekends act as perfect excuses. The conversation starts with why would I start anything this week and ends with it’s too difficult to finish anything this week. The holiday weekend becomes a built-in excuse for a bigger problem. Most of my under-motivated clients will take the smallest event and turn it into major reasons not to do anything. With a client like this, it is important to acknowledge how his or her deeper issues are impacting motivation. This particular client hasn’t been as successful as he or she would like and is afraid to confront a difficult task. Helping this individual feel good about past accomplishments and identify the success strategies is the key. Building on success and learning from failure help a client move forward. 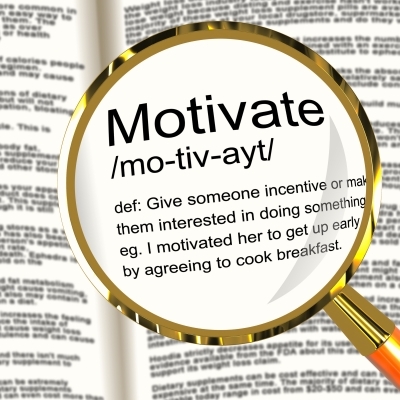 With the over-motivated client, my experience has shown that many of these people are motivated without a purpose. This means that they are trying to be productive and have no idea how to be productive. An example would be the client that decides starting a new career would be a good idea and searches all over the Internet for information about a job…while neglecting other more important things like work or school. This person stays busy with less-important things. Why does a person do this you might ask? It’s back to the idea of creating conflict to avoid conflict or doing things to avoid the issue at hand. These types of clients will present a greater challenge than under-motivated ones. These individuals have convinced themselves that he or she is driven…when in reality he or she is driven to avoid important things. When I work with this profile of client, I always try to narrow the individual’s focus; focus on three things instead of eight. The key is narrowing focus and channeling one’s energies to accomplishable tasks. Finishing a task as opposed to starting several ones helps teach the client that being focused actually accomplishes something as opposed to being busy doesn’t accomplish as much.